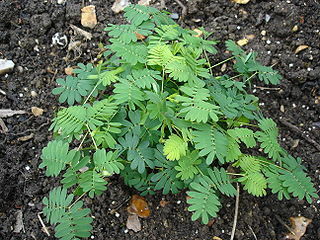 M. pudica is known as the “Sensitive Plant” because it moves in response to stimuli (Ombrello). These movements can be referred to as “seismonastic” (Allen 1969). This adaptation may help protect it from predators. 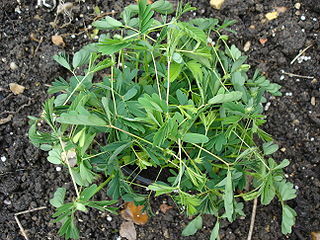 It is thought that this adaptation is defensive and could be used for demonstrating thorns, which would repel predators. Though the mechanism by which this plant undergoes these movements is not fully understood, research has demonstrated that it is driven by chemical responses (Allen 1969). 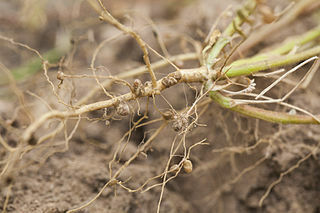 Additionally, the plant, like other plants in the family Fabaceae, M. pudica has nodules in its roots. This adaptation allows it to be in symbiosis with bacteria that can fix nitrogen (Chen 2006). Nitrogen is an essential element for all plants, but plants cannot fix nitrogen on their own. Nitrogen is a necessary element in chlorophyll and DNA, as well as many other necessary molecules, such as enzymes and other proteins. Because the plant lives symbiotically with these organisms, it has access to nitrogen for use in these important molecules (Bergersen 1971). Its leaves close in response to stimuli, but are normally open, as seen in these images. Root nodules for fixing bacteria. For the cited refrences, see the Refrences page.